The concept of majority gates is used in this system to design cascade-based and Tree-based structures of a 32-bit comparator in Xilinx. Comparators normally perform a comparison function of a<b, b<a, a=b. This function is being checked by Model simulator for both the Cascade and Tree based structures. This system deals with the majority gates reduction thereby it results in the reduction of power and delay indirectly. The majority gate reduction analysis is obtained in this paper resulting in reduction of majority gates lesser than 85 Gates in the Tree based structure. Since the QCA is a design layout nanotechnology tool. The changes of results in whole structural change and association function formed due to crossing of wires are eliminated by implementing in Xilinx. Poomaran A, P Gomathi. "Reduction of Delay and Area in Binary Comparator Using Tree-Based Techniques." 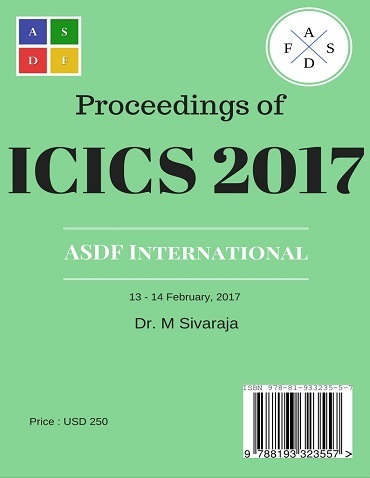 International Conference on Intelligent Computing and Systems (2017): 33. Print.